The rain this afternoon paralyzed the capital again. Dozens of streets have been flooded, many cars have been blocked in traffic. Public transport is no longer in the area. 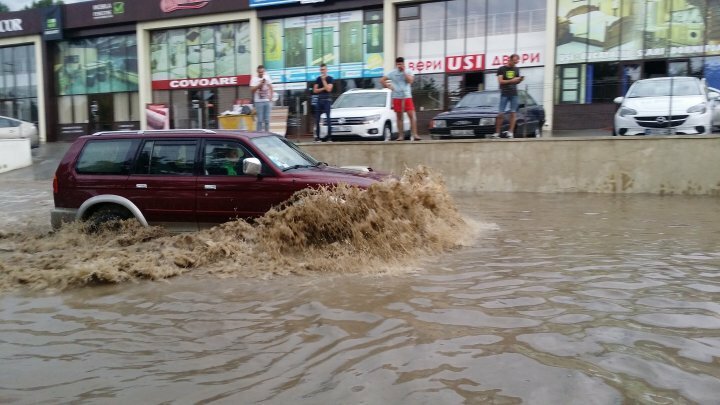 On the Uzinelor Street the water reached about one meter high. Also in this area, water blocked entry into a foodstore, and people were forced to swim through garbage.